Check Lubly Bully for more lubly happy bully and staffie pictures! Hucklebutts can be anything when they grow up. 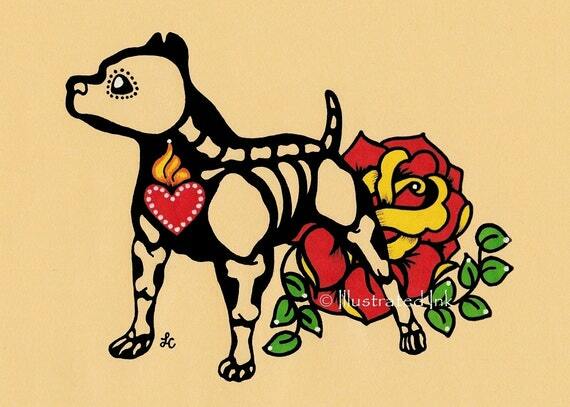 From Leila of Illustrated Ink, this great pittie print! If you didn’t get your Dia de los Muertos decorating on this year, stock up for next year because these are irresistible!